Limit one coupon per customer, per visit. May not be combined with any other offers. Valid at participating locations. SMYRNA AUTOSPA of Smyrna provides fast oil changes, featuring high quality Valvoline motor oils and chemicals. We are located at 2543 Spring Rd Se in Smyrna. 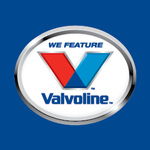 Check out our oil change coupons for savings on your next oil change visit.